I bet your email inbox is like mine. Constantly assaulted by scams, sales pitches for things I don't want, and more. Some seem strangely targeted; for instance, I get tons of email out of China for PCB fabrication. Many want me to click on a link, which will surely infect my computer with some sort of nastiness. Only an idiot would fall for these malicious schemes. Except that apparently a lot of people do. My parents are in their 90s and I have to constantly remind them to not click on links, to not open email unless from people they know. And even then, hacked inboxes can send deceptive emails that seem to be from family or friends. Only an idiot would fall for these malicious schemes. Except I'm getting email that looks really authentic, with hijacked logos and forged return addresses that give me pause. Hover over that URL! Then there are the scam phone calls. This year I ripped out our "land" line (it was really an IP phone) as it was clogged with robocallers or worse. But they still flood the office number and my cell phone. 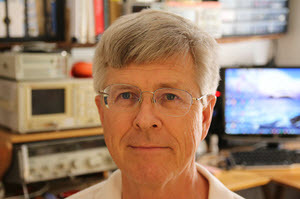 One famous scam is the "I'm from Microsoft and there's something wrong with your computer." My Dad fell for that last year and was out a couple of hundred bucks. Once, frustrated with yet another of these calls, I pretended to fall for it. The crook told me to type in various DOS commands, which I pretended to do. Then I said "my computer is smoking. Did your commands make smoke come out of it?" He started to panic. Then "it's on fire! What should I do? Should I leave the house? But there's a baby in the other room!" More panic. "Should I toss the computer out the window?" He agreed. "It fell into a pile of leaves. Now the house is on fire!" At that point I had to hang up, laughing. My stepson's grandfather lost $10,000 to a villain who telephonically claimed said grandson had been kidnapped. And the hackers: you can't open a newspaper without reading about some band that has drained bank accounts or stolen millions of personal records. What has changed? Two things: The Internet, and cheap phone calls. As for the latter, there was a time when long-distance calls (we're talking even between two adjacent states) were very expensive. When such a call came in, we were expected to yell "Dad!" as it meant someone had died. I naively used to think the crooks were a tiny percentage of people. Now I'm not so sure. In the olden days you had to present yourself at a bank with a gun to commit a crime. The barrier to entry was high; the chance of getting busted thinned potential criminal ranks. Now all it takes is an IP phone or a computer. Have we gotten more evil... or is a criminal intent part of the human psyche, unleashed when the chance of getting caught is vanishingly small? Nuns and Jesuits were my teachers for twelve years. There were plenty of admonishments about things we should not do. Strangely, though, the infamous "Problem of Evil" never came up. I suspect that was because belief in Catholicism was expected, and no one thought about having any doubts about religion. The Problem of Evil is one of the most pernicious challenges to faith; one I have never seen addressed to my satisfaction. I get it that people need money. And that the opportunities to make it are scarce in many places. If we lived in poverty in Nigeria would we take to Internet scamming? If our kids were starving? If we did, out of desperation, would we create some justification to rationalize our illegal actions? I expect so. 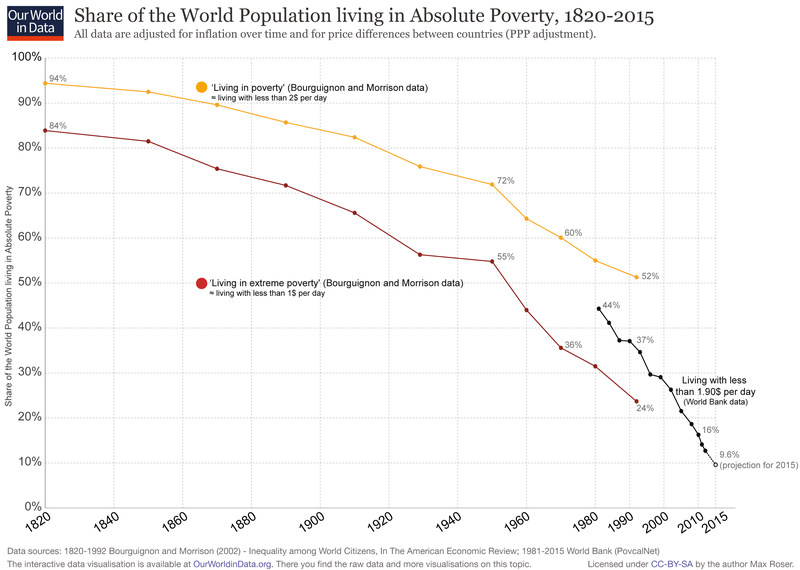 The percentage of people living in extreme poverty has been going down for a long time. But these figures are based on income levels of a dollar or two a day. Can you imagine existing on a few hundred dollars a year? Does poverty justify crime? I think not, as such a justification opens the doors to anarchy. But, like the founders of the United States who came up with a nation of laws, I am so comfortably removed from that situation that my opinion may be biased by a full belly. Regardless, a certain amount of larceny does seem to lurk in our souls, and it saddens me to see it exhibited so often now that the constraints of getting caught have been removed. One can only take solace in realizing that most people are pretty decent. I wonder what the future holds. I'm not optimistic. Meanwhile, we'll keep tuning our spam filters. We'll continue to build suspicion, of email, crank calls, and maybe even of those outside our tribe. That, friends, is a sad state of affairs.